Variety. Selection. Options. Choices. Call it what you will — it all comes down to things that matter. And when you want to send a message — the right message — there's no room for compromise. When only the best will do, trust Domtar's Commercial Printing Papers to yield superior results for maximum impact. Our established Cougar®, Lynx® Opaque Ultra and Husky® Opaque Offset brands are long-trusted by generations of creatives and commercial printers to deliver unmatched performance, consistent quality and outstanding printability time and time again. With options for every project, priority and budget, our papers set the standard for excellence and dependability. 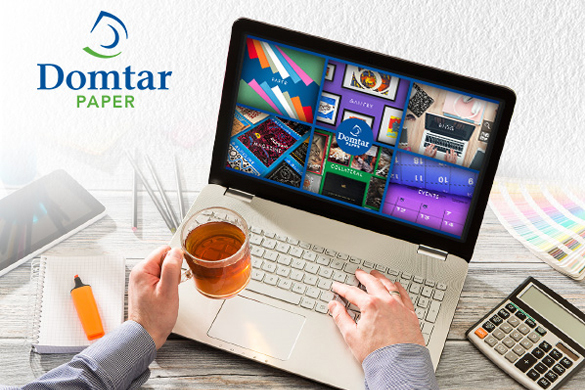 Rest assured, no matter which Domtar product you choose, you're making the right call — for your customer, your client, your message, your brand and your story. Created as a resource for engaging, educational and inspiring information about the world of paper, our newly launched website is ready for you to explore! Visit paper.domtar.com and you'll see why we are proud of all the ways paper is part of creating everyday connections.